MicroBiz CRM is a web-based enterprise-class Customer Relationship Management application, used mainly by small and medium-sized businesses. MicroBiz CRM can be used to manage your company's wide CRM and Inventory Management activities, such as sales force automation, customer support & service, marketing automation, procurement & fulfillment effectively. 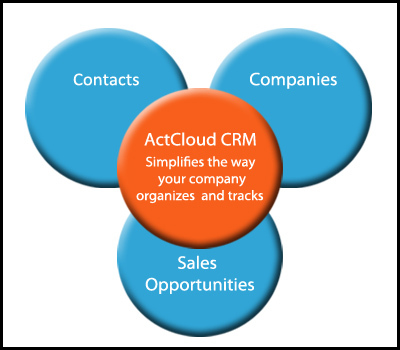 Can be used to spread message across all the users of a specific group in the MicroBiz CRM. Message creation under a specific category. Multiple files can be associated to a specific Messages. Files can be downloaded individually or as a package in zip format. Comments to a specific message supported. MicroBiz CRM provides you with Japanese Language Support. Japanese Language supported in all modules. Directory for the Employees of your company. Employee Name, Email, Contact Number, Company Name, Employee Address and Description can be recorded for an Employee with the support of this module. Used for the Adding new facilities to the Calendar module. By adding new facilities user will select his/her desired location and time for the event that he/she wants to create. The reserved facility cannot be reserved for the same time duration. Facilities can also be added and deleted. Manages leads, accounts, contacts, and opportunities. Import data from external sources, such as Web downloads tradeshows, seminars, and direct mail. Exports data to spreadsheet software, such as Microsoft® Excel®, OpenOffice ®, and others to analyze the sales pipeline and quickly identify the bottlenecks if any. Associates customer records with other records in the system for a better 360 degrees view of the customer record. Attaches customer-specific documents to the customer details for a quick reference in future. Notifies status of the trouble tickets to the customers. Tracks complete history of the trouble tickets. Integrated Customer Self Service Portal with Help Desk. Statistics of the trouble tickets for a better ticket management. Manages organization-wide product life cycle end-to-end. Creates different price books for products based on customer segments. Procures products from the selected list of vendors. Completes the sales management cycle with an integrated Quotations, Order processing, and Invoicing system. Fetches inbound E-mails and associate to the existing contacts. Manages mailing lists and execute HTML based mass E-mail campaigns. Sends mass E-mails to the contacts and other users. Fully customizable reports for all the modules. Sales pipeline analysis by sales stage. Sales opportunities by lead source. Drill-down the dashboards by time and opportunity stage. Traditional user management functions like create user, modify user etc. User Preferences Management like first name, family name, company, email, access rights, phone, phone mobile etc. Enables users to keep track of calls, meetings, and tasks. Users collaboration on activities and history maintenance of all previous activities. Manages user profiles and field-level access to the users. Creates team roles as per your organization structure. Controls the access to modules according to the user's roles. Archives the login history of each user for better auditing. Adds custom fields in all the modules, such as text, number, currency, pick lists, and others as per your business requirements. Customizes tabs using drag & drop so that modules that are not relevant to sales process can be hidden. Changes the look and feel of the user interface.